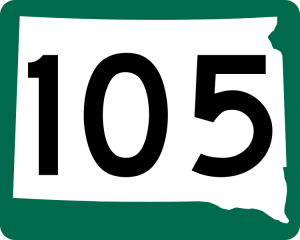 Brookland CE Primary School has a published admission number of 15. This means that the school can admit up to 15 children in each of it’s year groups. The school has an overall capacity of 105 pupils, and for the current academic year (2018 – 2019) the school has almost reached full capacity. If you would like a space for your child, please contact the school and we will be able to talk you through the process of applying. To find out how we offer places if there are more applicants than places, read our Oversubscription Criteria. If your child is due to start school in September 2019, click on the image (KCC School Places) and select – Primary school places. This will explain the process and key dates. 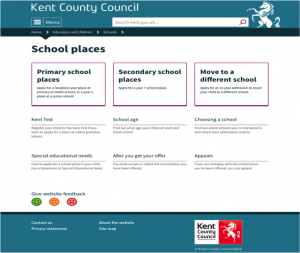 If your child already attends a school and you wish to move them then click on the image (KCC School Places) and select – Move to a different school. This will explain the process. 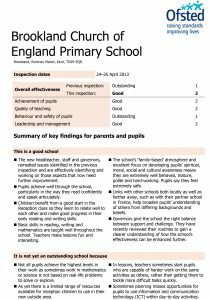 If you are considering applying for a place at Brookland Church of England Primary School then you will want to read our latest Ofsted report. Click on the image to download a copy of latest report. Applying for a secondary school place. 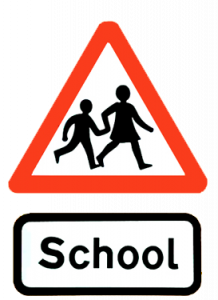 You must apply for a secondary school place for your child to start year 7 at secondary school. You will need to do this when your child is in Year 6 at primary school. To find out more, click the link here and select Secondary School Places. 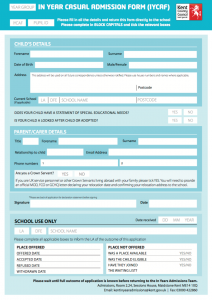 If you wish to apply for a Kent Grammar school place, you can register your child for the Kent Test. For more information visit the KCC website. The Folkestone School For Girls and The Harvey Grammar Schools for boys have their own selective test in addition to the Kent Test. More information can be found on their respective websites, along with copies of the forms to download and key dates for submitting the forms and dates of the tests.